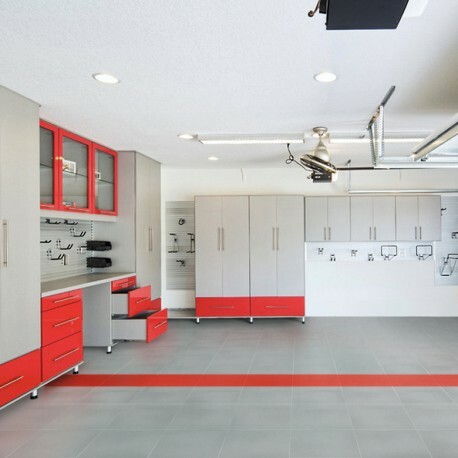 Garage flooring options used to be incredibly limited. 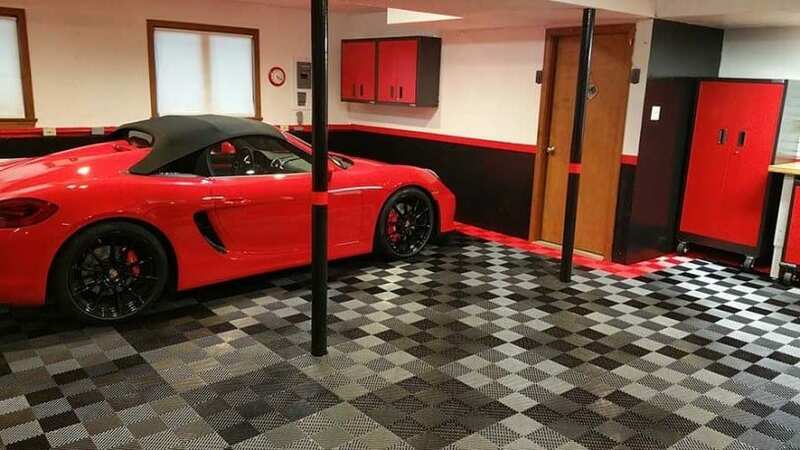 Today you have more ways to cover, coat or seal your garage floor than you could have ever imagined. Let’s have a look at some of the options that are available to you and what the benefits may be. 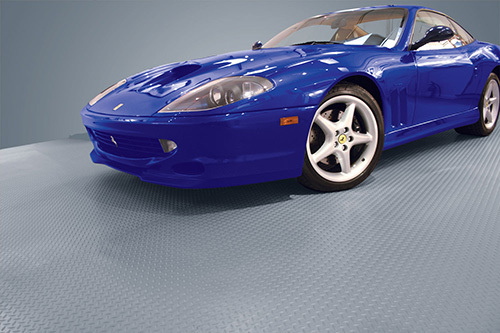 PVC Tiles: PVC tiles or flexible tiles are an example of the types of garage floor coverings available today. 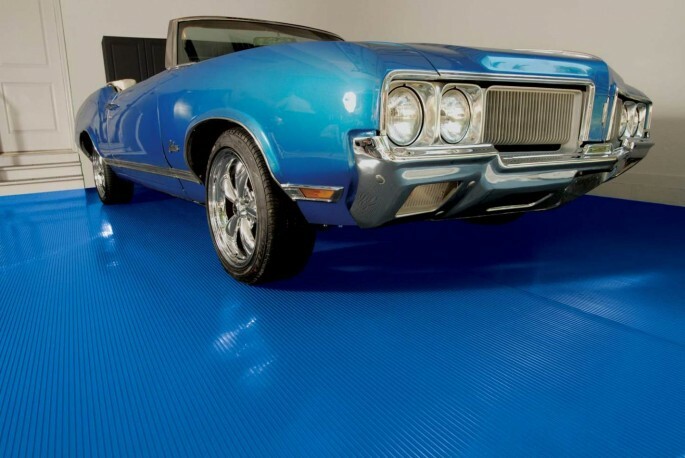 They are thicker than PVC mats, easier to install than epoxy and do a better job of protecting your garage floor than interlocking tiles — because water and oil are less likely to get through. PVC tiles also tend to be a ‘quiet’ floor covering when compared to hard plastic tiles. 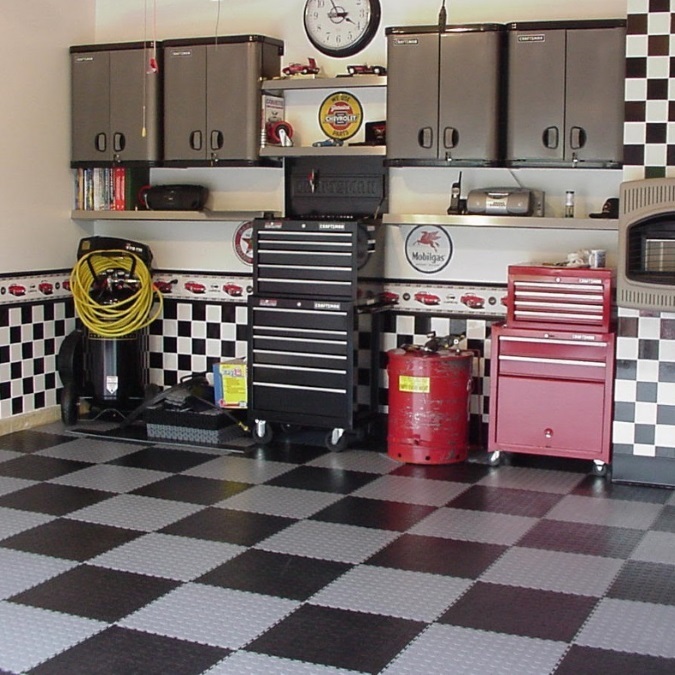 On the flip side, PVC tiles are more likely to stain from tires. 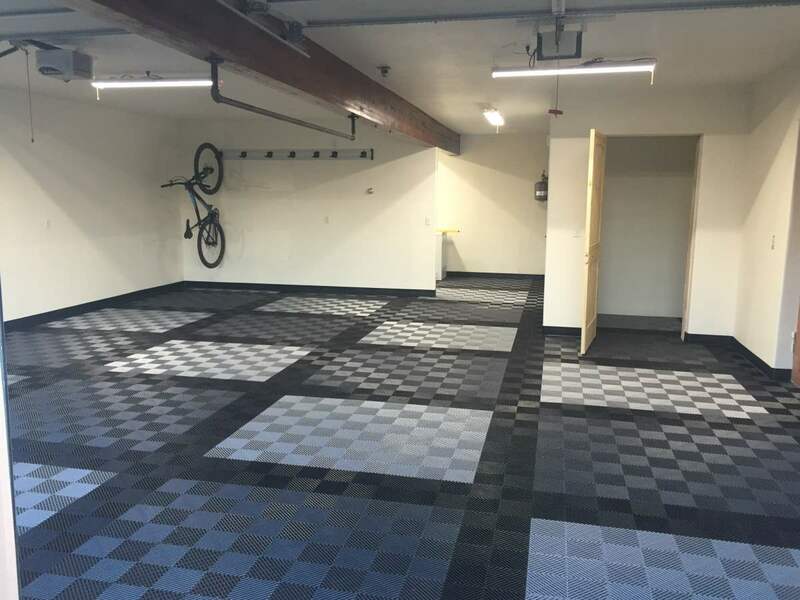 Traditional Interlocking Garage Floor Tiles: While PVC tiles use a mushroom locking system or a combination of mushroom and straight locks, traditional hard plastic garage floor tiles use a hook and loop system for locking together. They are much more resilient to oil, gas and tire marks, but like any product, they do have a downside. 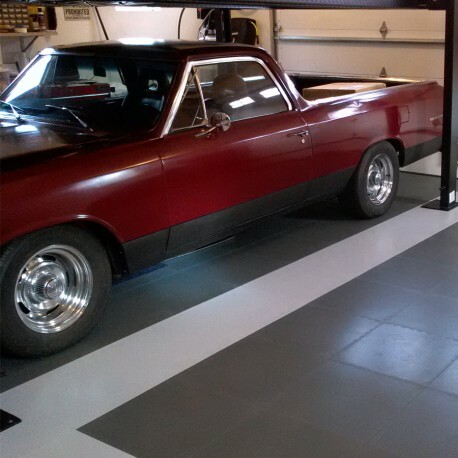 They can make a clicking noise when installed over bare concrete. Also, the locks are far from watertight and moisture can make its way through. 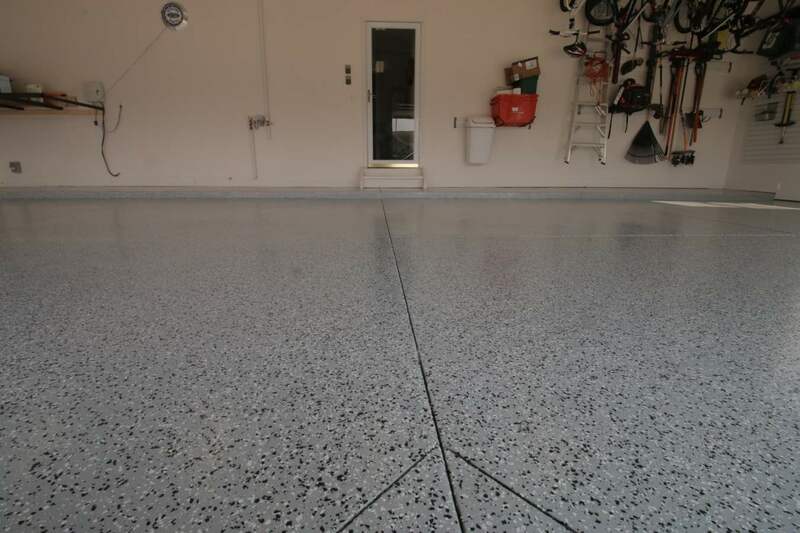 Epoxy Coatings: Epoxy and other garage floor coatings are perhaps the original and most widely used option. Unlike rolls or tiles, coatings require a substantial amount of work and in most cases grinding or acid etching your floor. In recent years there have been exceptions such as Rust Bullet for Concrete. 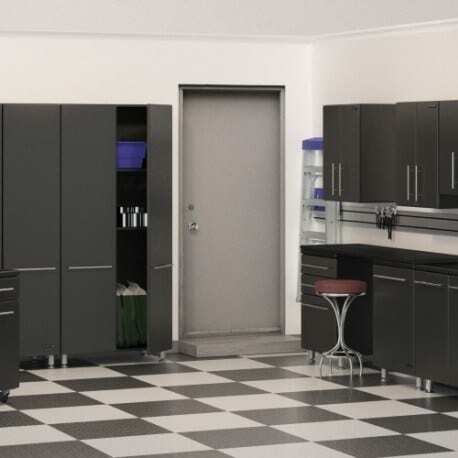 The advantages of coatings are that they provide a seamless, permanent and easy to clean surface. 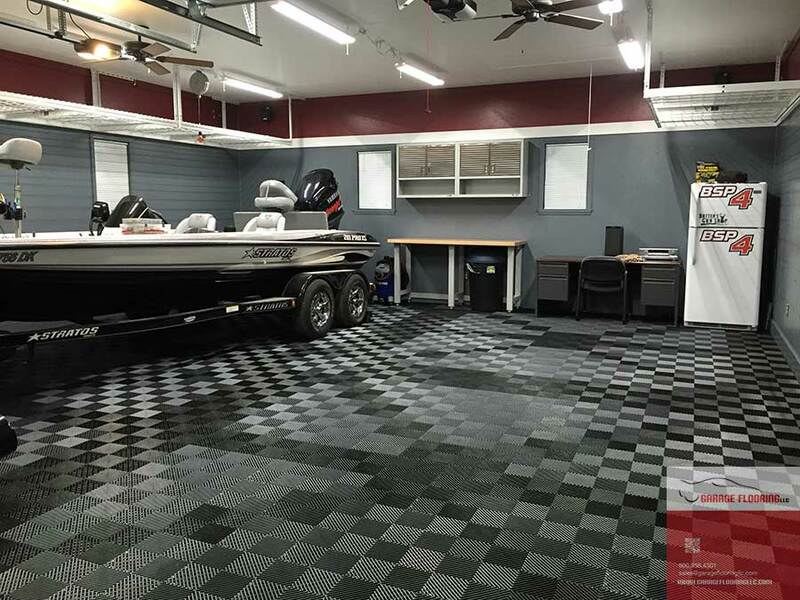 You have a wider variety of appearances and can generally customize the floor to fit your needs. When properly installed, few products are as tough, durable and attractive as a good garage floor coatings. 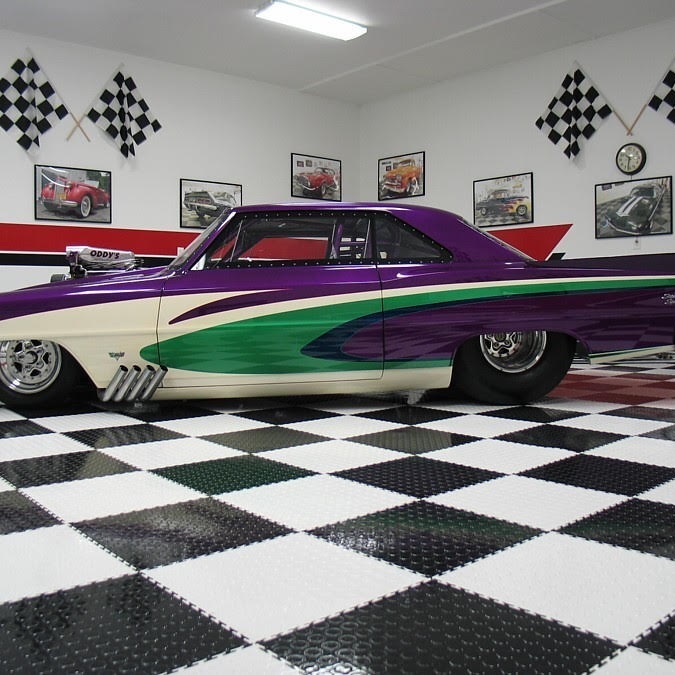 If you are considering epoxy, you want a product with a high percentage of solids or even 100% solids. Generally, we stick with a high solid (93%) because it is easier for the average DIYer to install. 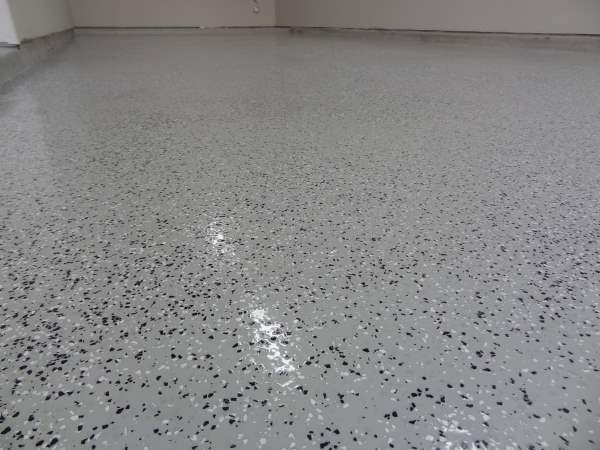 It is important to grind the floor first; prime the concrete; top coat with aliphatic urethane for UV and chemical resistance. 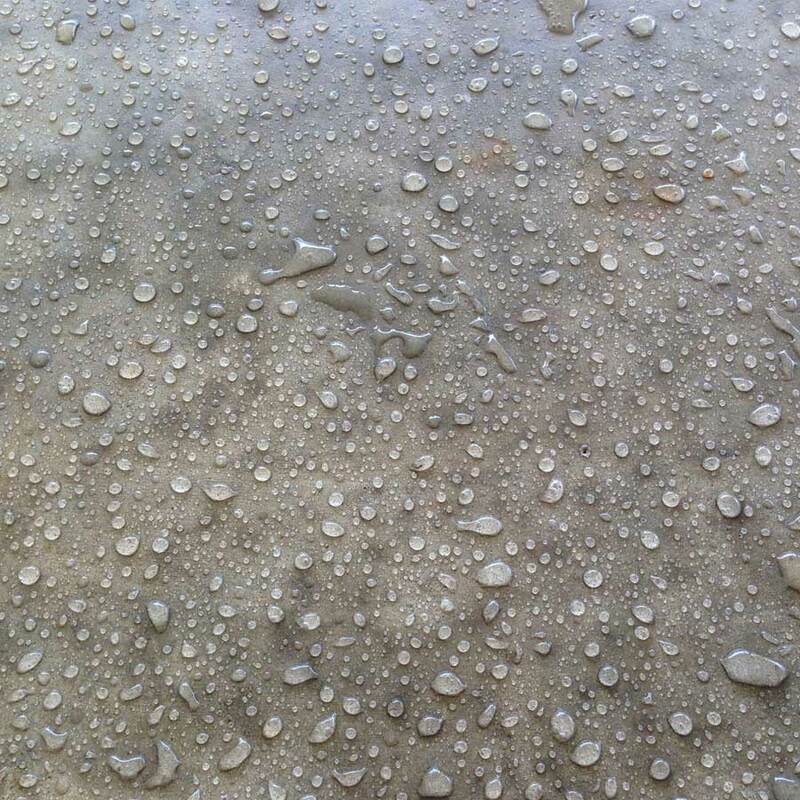 Rust Bullet products are generally less labor intensive and often same or better quality. 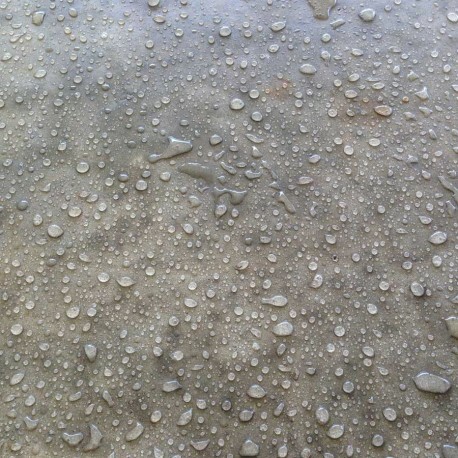 One place where epoxy has a clear advantage is hiding damage in old concrete — because epoxy is much thicker than urethane. 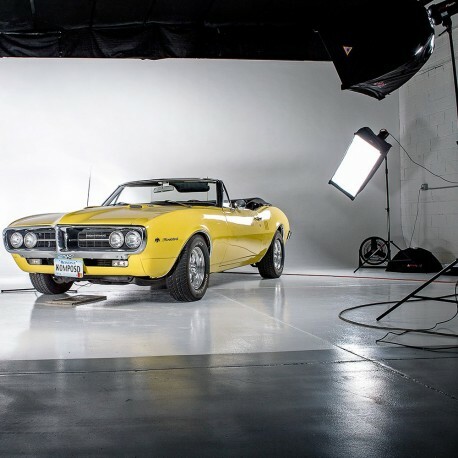 Sealers: In recent years products like TrueLock urethane sealers and GhostSHield penetrating sealers have become available. 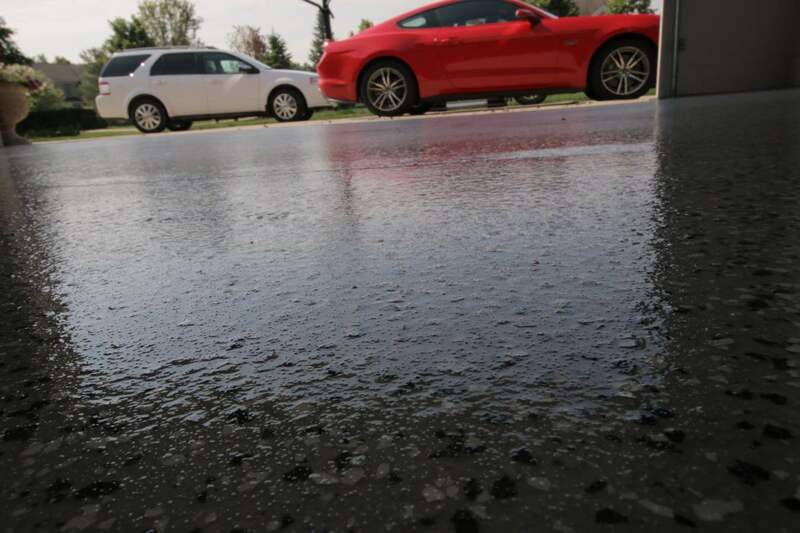 Unlike coatings, they penetrate deep into the concrete. They generally do not require the surface preparation of epoxy but they also do not provide the finished look of a well-done floor. TLPPC is a good hybrid solution. It is a penetrating sealer but leaves a beautiful sheen or even a gloss. Garage Floor Mats: Garage Floor mats are rolls of garage flooring that install to create a virtually seamless floor. They come in a wide variety of patterns and colors. G-Floor is an American Made option and we believe it to be the best roll out garage flooring on the market. While products imported from China are less expensive, they are generally not colored all the way through and have trouble laying flat. 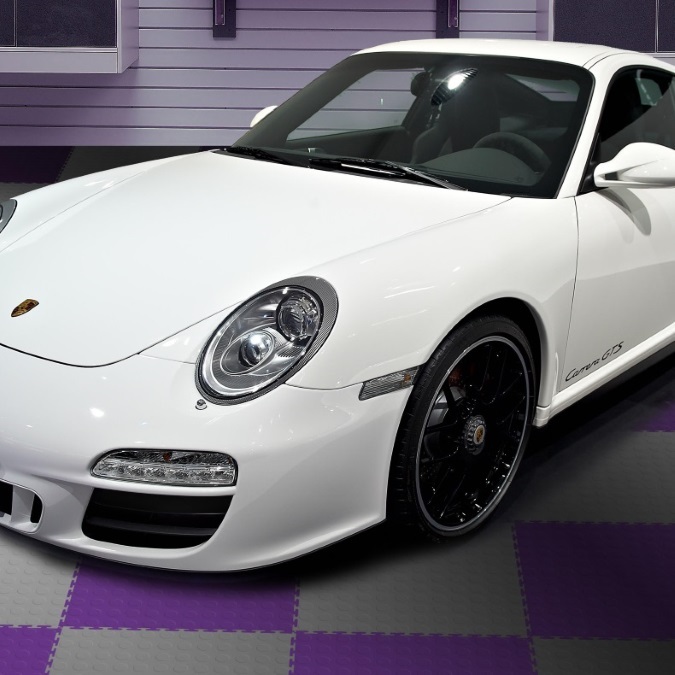 I have G-Floor small coin in my own garage and I love it. There are a few things to be aware of. 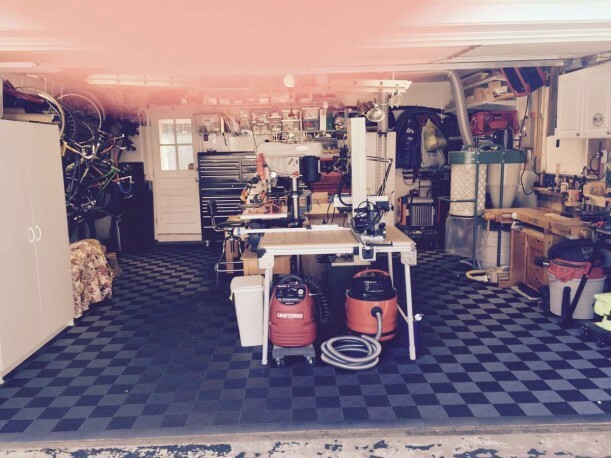 It may stain from certain tires and you may have to reposition the mats because of expansion and contraction. They also do not put up with gasoline spills well. 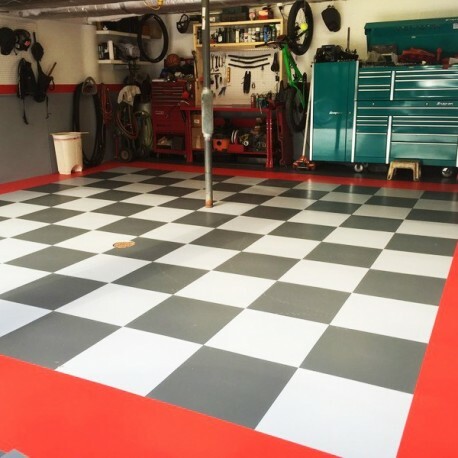 Self Stick Garage Tiles Self-stick garage floor tiles provide an interesting combination of the advantages of PVC tiles and the advantages of mats. 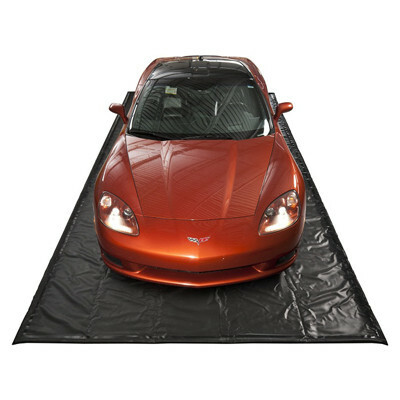 While we offer the G-Floor product, it would likely not be my first choice. I tend to prefer the interlocking or PVC tiles over self stick tiles.